The BlackBerry KEYone has officially arrived in India, but with a slightly different moniker: BlackBerry KEYone Limited Edition Black. So what's different? Well, the model comes in all black color and in upgraded memory configuration - 4GB/64GB instead of the usual 3GB/32GB. 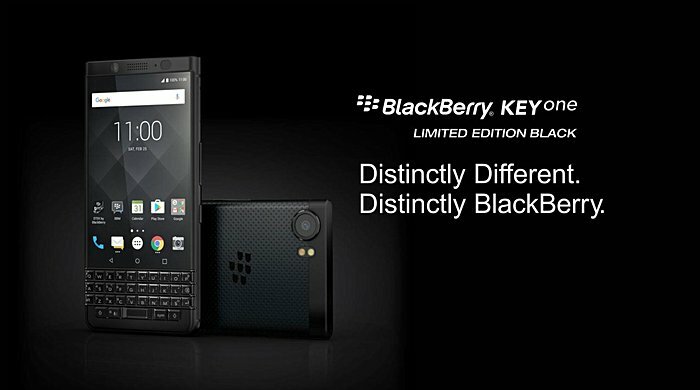 Not only this, the variant also offers support for dual-SIM cards, making it the first ever BlackBerry handset of its kind. Coming to pricing, the device carries a tag of INR 39,990, which currently translates to $625. Launch is set for next week (August 8), with Amazon India being the exclusive sales partner. First lot are made by TCL. Later on, they will change.